I used to do a lot of art – both traditional and digital media. 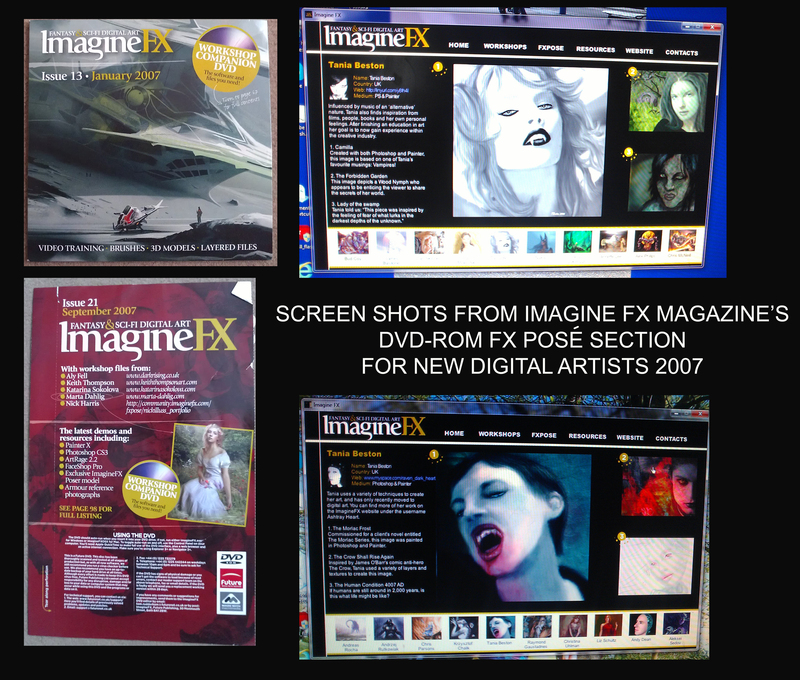 Writing now takes up most of my time, but some of my work was published on a DVD-ROM for ImagineFX magazine’s FXPosé section twice in the early and latter part of 2007, which has been published worldwide. Here are some examples of my work. As you can see, I’m heavily influenced by Fantasy, Sci-fi, horror, and all things gothic. Some work was produced under the different alias Ashtray Heart, Raven Dark Arts, Black Articia or under my maiden name (Beston). Most of the art was produced using: Photoshop, Painter, and Poser 7. Where models were used, consent was given along with copyright. Thanks for the reply. I think your artwork is great but I can see why you don’t take on other people’s work. Makes perfect sense. Thanks for the tip about Deviant Art. You have a real talent here. Do you ever undertake work for other people? Ah, thank you very much. Great images for book covers, you are very talented.